Get cozy on our Amish Liberty Mission Loveseat. A wood frame supports a thick cushioned seat with back support provided by a two pillow back design. 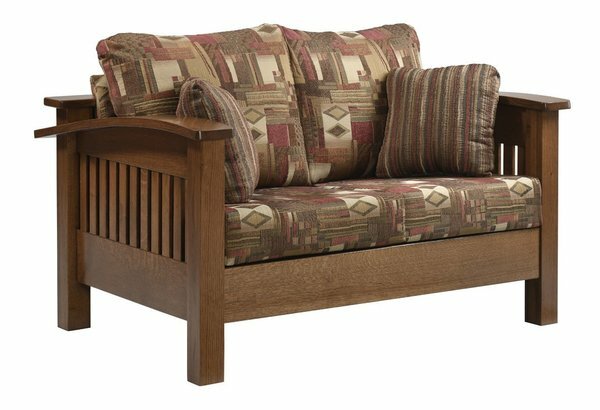 Mission-style slats feature prominently on the sides and back of the loveseat. Arched armrests connect the square legs to the back of the loveseat. Select from a variety of upholstery options, from solid fabrics to leathers, wood type, and finish to customize it to match your home.